As a utility customer, there are definite advantages to being a “not for profit.” Not for profit utility customers are afforded numerous pricing advantages as a matter of public policy. As a result, not for profits can expect their monthly utility bills to be lower by at least 10% or more. For larger not for profits, including hospitals, schools and nursing homes, these pricing advantages can represent a significant cost saving. For that reason, it is important for not for profits to ensure that all currently authorized utility pricing advantages, including GRT credits, are reflected in their monthly billings. Verification of utility billings is not an easy task. It’s no secret for anyone who has tried to analyze a utility bill that complexity is the operative word. After an honest and usually unsuccessful effort, the general pattern is to pay the bill based on the assumption that the bill is essentially correct. Consider the fact, however, that utility companies are preparing monthly billings for each of their customers based on hundreds of pages of complicated billings, tariffs and evolving rate structures, typically regulated by relevant Public Service Commissions. Consider further that when a third party supplier is involved, such as an ESCO, there is an additional layer of calculations on top of an already complex billing process. With a billing process of this complexity on the utility side and the difficulty of verification on the customer side, it’s hard not to believe the scenario that errors happen and once entered into the billing system, these errors will repeat themselves month after month. With this billing accuracy issue in mind, some informal research along with some suggestions follow: • A sampling of utility billings recently analyzed for accuracy resulted in accurate billings totaling 30% and inaccurate billings totaling 70%. Most of the inaccuracies identified involved third party suppliers. Many of the larger not for profits including hospitals, educational facilities as well as nursing homes have addressed the “accuracy issue” by having their utility bills independently audited on a regular basis. The more sophisticated audits involve computer programs which can include a 150-step review. It is important to remember that any refund claims are generally limited to just three years, successful claims for earlier periods are an endangered species. Lee Friend of NuEnergen advises “The best strategy is to source an auditor who works on a contingency basis and who aligns the client’s interests with their own on a 100% basis.” To learn more go to NuEnergen.com. 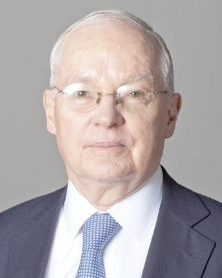 George Crawford is the principal of Green Partners, New York, N.Y.